R. Senthil Kumar, GM- Marketing, Simpson & Co. Ltd.
Simpsons pioneered Industrialisation in India with Chennai as its manufacturing hub, since 175 years ago. The great visionary Shri. S. Anantharamakrishnan, nurtured a dream to transform Chennai as the Detroit of India. His efforts progressed from horse-driven carriages to motorised transportaion and then to farm mechanisation through diesel engine manufacturing. Today, Simpsons has appreciable market share in Agricultural, Industrial, Power Generation, and Marine Segments. Simpons is currently manufacturing 1,75,000 engines per annum, and enjoyes market leadership in Agricultural, Light Construction, Material Handling and Powergen Industry. It has demonstrated time and again its capability to adapt to the changing customer requirements, apart from meeting statutory emission regulations. Simpsons also partners with its OEMs for exporting its products to Tier4F, EU stage3B markets like North America and Europe. Simpsons has many firsts to its credit starting from farm mechanisation to two-cylinder turbo-charged intercooled engines, single cylinder Iso-chronous governed engines to meet the growing and ever-changing customer requirements. To meet stringent TREM4 and BS4 CEV emission norms coming into effect from 2022 for engines above 50 hp, Simpsons offers complete solution with its 2.6, 2.7 and 3.6 litre workhorse engines with Bosch common rail fuel system. Some of these products are already in production for global markets, and development programmes for rest of the products are geared up to support customer validation on or before 2020 itself. These engines are capable of upgrading to the next emission level without much change in the base engine. Future emission norms are achieved without compromising on power, ranging from 40–74 hp in 3 cylinder models (2.6 & 2.7 litre displacement) and 60-74 hp in 4 cylinder (3.6 litre displacement) model for TREM4, BS4CEV, Tier4 and EU Stage3B markets. Simpsons is also in advanced stage of development for some major OEMs in global markets. 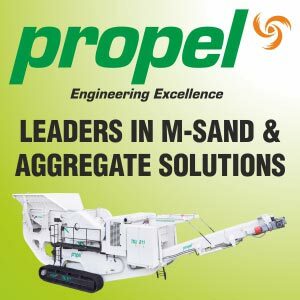 The company has demonstrated its capability in meeting the expectations of the Construction Equipment Industry for performance, productivity, reliability, versatality and cost-effectiveness.